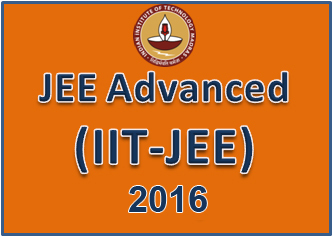 JEE (Advanced), formerly known as IIT-JEE, is an annual college entrance examination of the IITs. It is also one of the toughest engineering entrance exams in the world. Only around 2 lakh students shortlisted from JEE (Main) get to appear for JEE (Advanced). The offline JEE (Main) is scheduled for April 3 while the online computer-based test is scheduled for April 9 and 10. BE/B.Tech (Paper 1): The duration of the entrance examination is three hours. It will include objective questions from physics, chemistry and mathematics with equal weightage for each subject. Each question will have four options. For each incorrect answer, there is negative marking of 1/4th marks. B.Arch/B.Planning (Paper 2): The three-hour entrance examination will have three parts: mathematics, aptitude test and drawing test. While mathematics and aptitude test will have objective questions, drawing test will have questions to check the drawing aptitude of students. Clearing JEE (Main) is not a difficult task. Following a systematic while preparing can help students get admission into one of the top National Institutes of Technology (NITs). JEE (Main) consists of CBSE syllabus of physics, chemistry and mathematics and some common topics from Class XI and XII syllabus of State boards. The cut-off for JEE (Main) is generally around 60 per cent for NITs and IIITs. While preparing for JEE (Main), students should keep in mind that speed and accuracy is an important aspect, which comes from extensive practice of similar questions. Always exercise time pressure while solving JEE (Main) papers. For maths, use short methods for calculations and skip irrelevant steps to save time. It is important to have clarity of concepts which can be achieved through regular problem-solving. Remember, JEE (Main) is not difficult, but tricky. Its questions need to be tackled with different tactics and perspectives. Focus on solving the problems on your own while preparing for the exam. Start with conventional methods of problem solving but improvise constantly and build your own shortcuts. Both speed and strike rate matter. You need to be quick and accurate to achieve high scores. High speed with less accuracy can ruin your results. Never use a calculator while preparing for the exam. Being adept in mental calculations can increase your speed to a great extent. Select your questions wisely. If you solve easy and average questions correctly, you can easily get through. You may attempt difficult ones to gain merit. Gather and implement tips, gain confidence and remain positive. Stay calm during the exam even if you find the paper tough as it is the relative performance that counts. So, give it your best shot and you will ace JEE (Main). The writer is the head of FIITJEE's Noida centre. In JEE (Main), CBT, the correct options are submitted by a click of the mouse. Attempt the questions in a sequence so that you remember the order in which you attempted them. It is advisable to take several online mock tests. Scroll down the screen to check if all questions are appearing on the screen before starting to attempt the questions. As all the pages can be viewed through a tab on the top right side of the screen, select the subject you wish to attempt first. Ensure that you click on the right option and save it immediately. One must be careful to submit the paper only after all the questions in respective subjects - physics, chemistry and mathematics - have been dealt with. Ensure that you have got the entire question paper and no page is missing in between due to printing mistake. Attempt all subjects in three rounds and not subject-wise. Do not allot equal or fixed time per subject. Attempt the questions you are confident about first, taking into consideration your ability to solve a question and the time taken to solve it.